One of two Russian-speaking men captured by Islamic State in Syria has been killed, a local government official told the independent Dozhd TV news outlet on Thursday. The terrorist group banned in Russia released a video this week allegedly showing two Russian soldiers that it claimed were captured last month. The Kremlin said on Wednesday it was verifying the men’s citizenship, but called into doubt reports that fellow soldiers recognized them as their own. 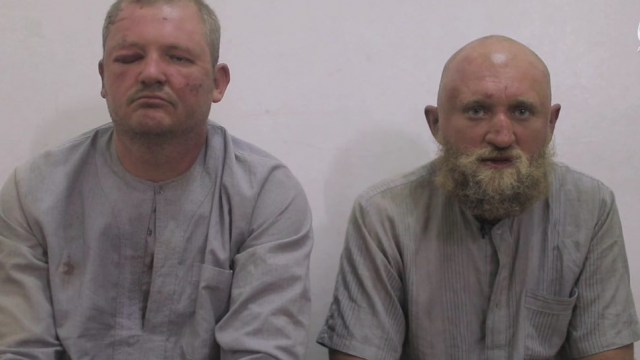 Russian military representatives in Syria and Russia denied reports on Tuesday that its servicemen had been captured. Rostov-on-Don municipal assembly deputy Anatoly Kotlyarov told Dozhd TV that he had learned of Roman Zabolotny’s death from a source “directly connected” to him. “I wish they were wrong, but so far our worst fears about his fate are proving true,” Kotlyarov said. 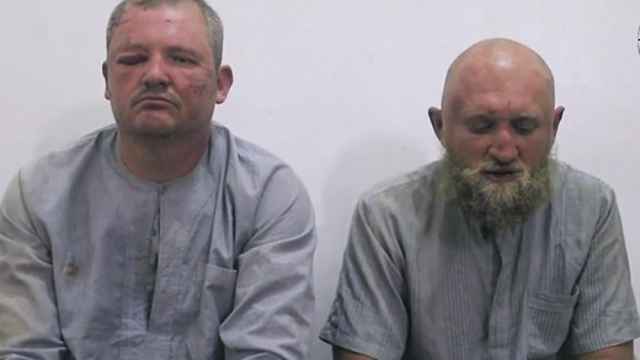 The deputy said he was unaware of the fate of the second hostage, believed to be Grigory Tsurkanov. 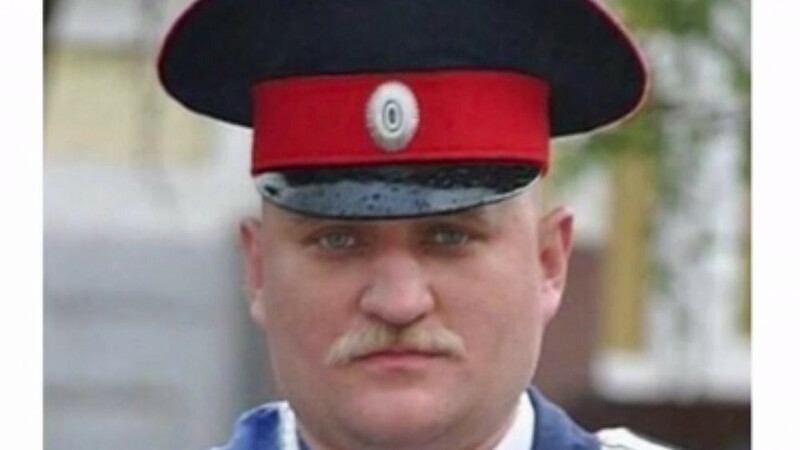 A member of a Russian military order known as the Cossacks told the RBC news outlet later Wednesday he recognized Zabolotny as a fellow Cossack. Tsurkanov was identified as a member of the pro-Kremlin Brothers in Arms veterans group. Russia’s Conflict Intelligence Team non-profit monitoring group said it allegedly identified Zabolotny among Cossacks blocking opposition leader Alexei Navalny’s Rostov-on-Don campaign offices last spring. — CIT (@CITeam_ru) 3 октября 2017 г. The Russian military says 38 of its personnel have been killed since the start of Russia’s campaign in Syria in 2015. Unofficial estimates estimate that figure is higher. 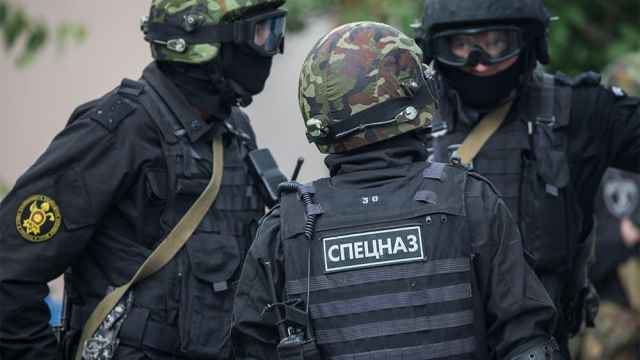 The FSB said Monday’s detainees were part of an Islamic State sleeper cell led by “foreign emissaries." 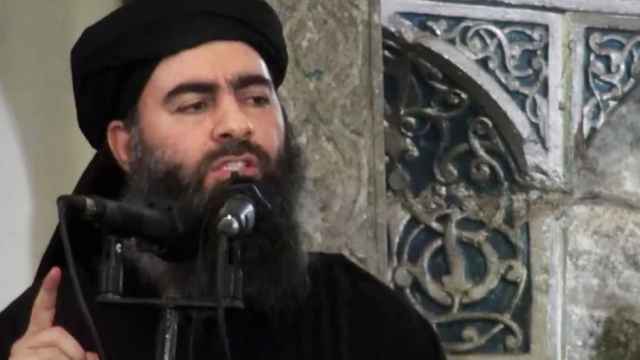 Islamic State leader Abu Bakr al-Baghdadi has died in a Russian airstrike, according to reports from the Russian Defense Ministry.